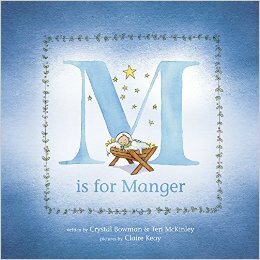 M is for Manger by Crystal Bowman and Teri McKinley is a fantastic alphabet book set to the theme of the birth of Jesus in chronological order . This creative story is great for younger and older children. Each letter of the alphabet is a two page spread. On the left side is a beautiful, full page, illustration by Claire Keay with a short description like “M is for Manger” On the right side is a smaller illustration, a four line rhyme and a scripture verse that gives details of how it applies to the story of the Birth of Jesus. I love this book because you can read just the left pages for a short story for little children and you can read the entire book to keep older children attentive. Children are very visual. 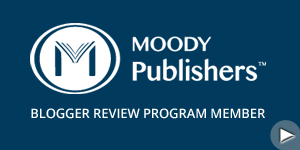 With all the electronic devices, there is a lot of competition for books today. M is for Manger by Crystal Bowman and Teri McKinley is well thought out from story context down to the background color of each page. My children were fascinated by this book even though we read it out of the typical Christmas season. My children loved how M is for Manger by Crystal Bowman and Teri McKinley teaches the alphabet in a Godly way. I suggest this book for any child who are learning the alphabet or about the story of Jesus’ birth and their parents and teachers who read to them.